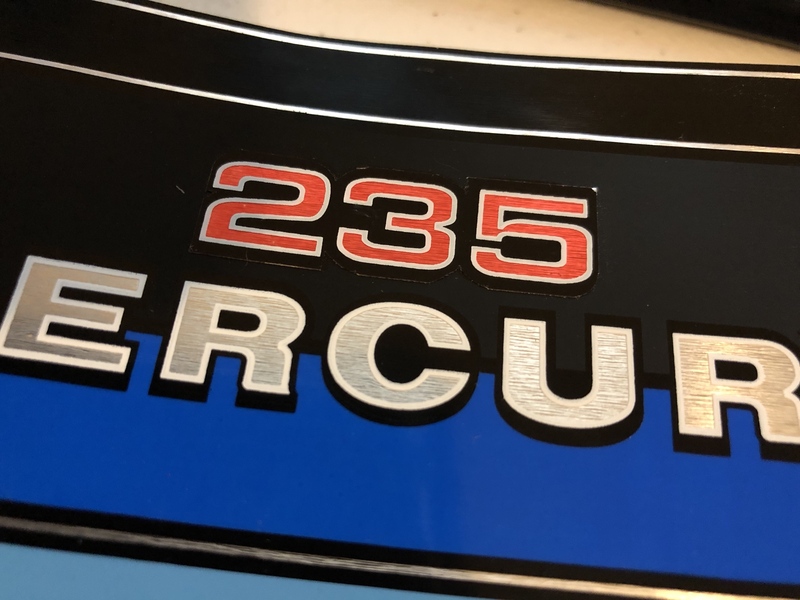 Thread: 235 Mercury. Wait... Wut? 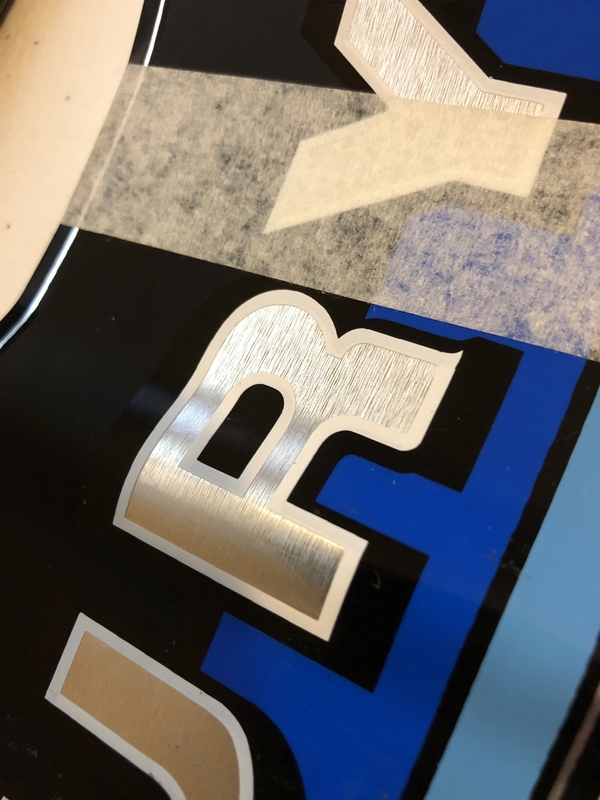 Did a little digging after seeing these on ebay and came across this thread https://www.screamandfly.com/showthr...-HP-OEM-Decals everyone is having a har har over it, including me, but I noticed the faceplate graphic was identical to the 225 decals I had seen. I collect the blue stripe mercs just because they're my favorite graphics (82, YAS!) so I figured WTF and bought them. Well I got them in, and I'm not sure what's going on, but they are on the OEM style paper, and I can NOT tell the difference between the 235 decals and OEM stuff. So my question is WTF do I have here? Has everyone ever seen these? Someone being a clown in fon-du-lac? These things are oddballs for sure. Will attach more pics once they upload... ugh. "Where does the love of God go, when the waves turn the minutes to hours?" 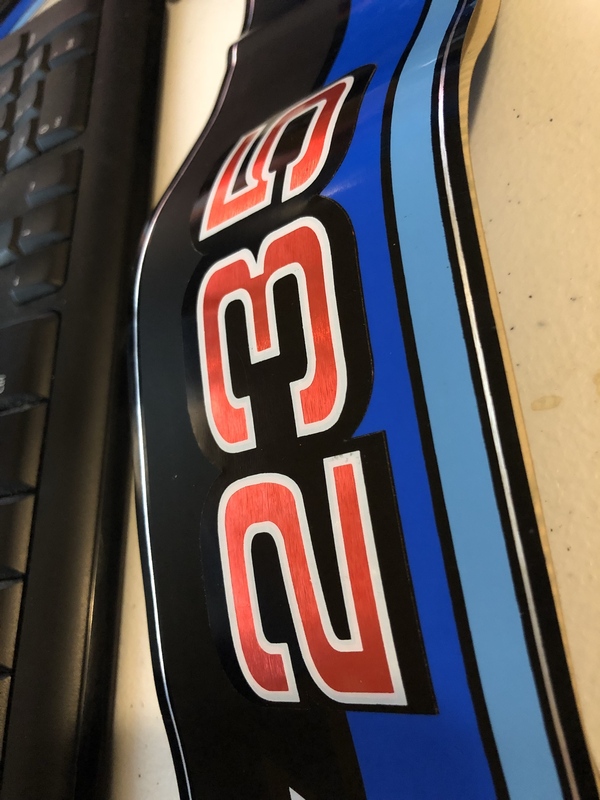 These are the "235" decal backings. You can still buy 3M Scotchcal decal film today, of course the graphic on the back has changed over the years. May be "vintage" but not necessarily Merc original? May be "vintage" but not necessarily Merc original? 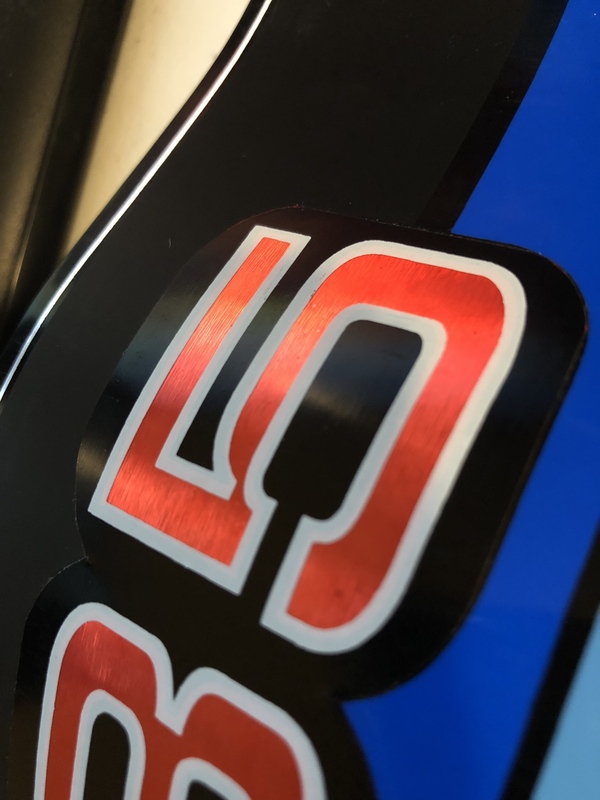 it's definitely vintage of the same era, they have the same feel as my other decals of that age and the striping/lettering is identical in both color and design. If they aren't merc, they're made from the same templates. Measuring a few spots with the caliper comparing these to my merc decals, they are identical. I think the 235 might be overlaid on top of an original merc base decal, but it's extremely hard to tell. I also don't want to destroy them in case they were some off the wall thing that had been tested back in the day. This isn't the first weird clamshell decal I've seen. '95 STV "The Blue Goose"
I knew I was going to be greased for this post. Lol. It's just too weird for me to ignore though. I`ve said it before. Mercury has done some strange stuff over the years. I wouldn`t doubt that your decals came from them and was intended to be on something but never went into production. We`ve all seen or heard of those strange Merc engines. I had one myself. You spose that's crankshaft horsepower or propshaft ?? Same. Clamshell modVPs never existed. Yet here it is in my living room. lol. Weird. The Mod VP decals fit pretty good on a clamshell. The fishin clamshell decals fit pretty good on a mod vp cowl too! Seen ‘em both ways, pretty sure Mother Merc wasn’t the one responsible! Last edited by FMP; 08-10-2018 at 05:38 PM.